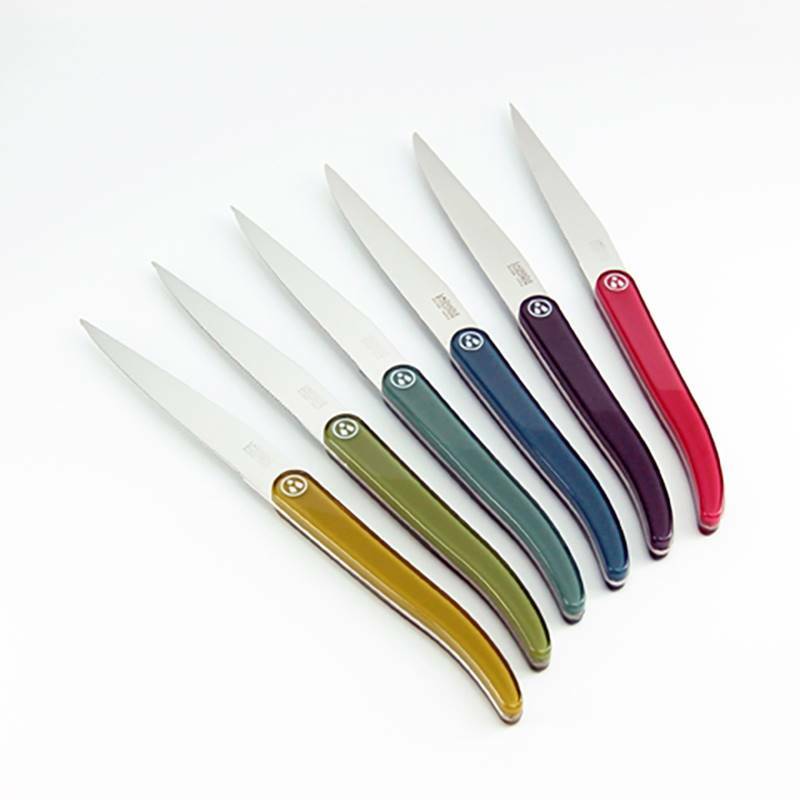 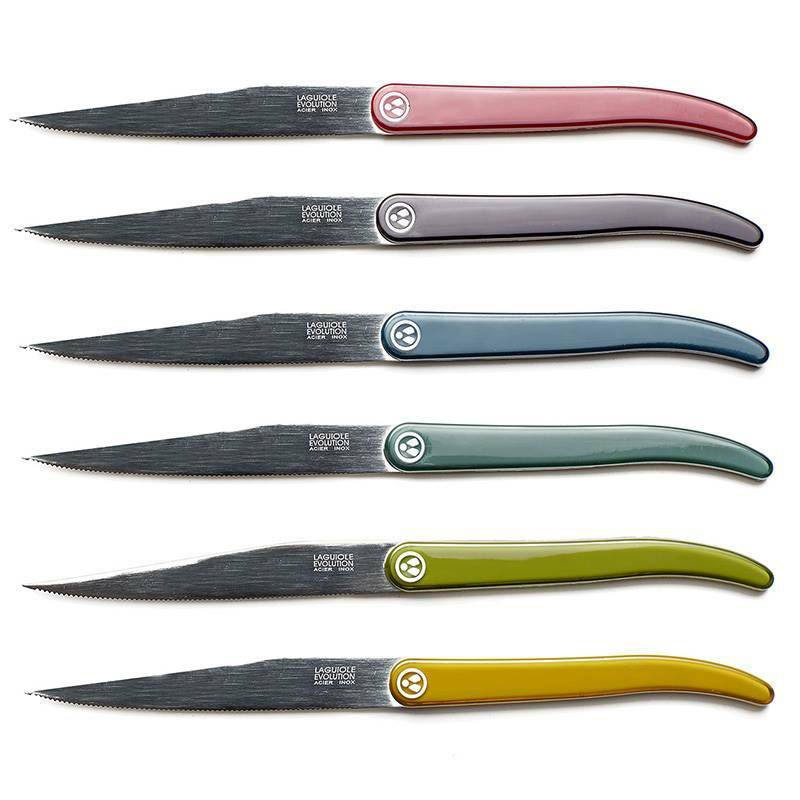 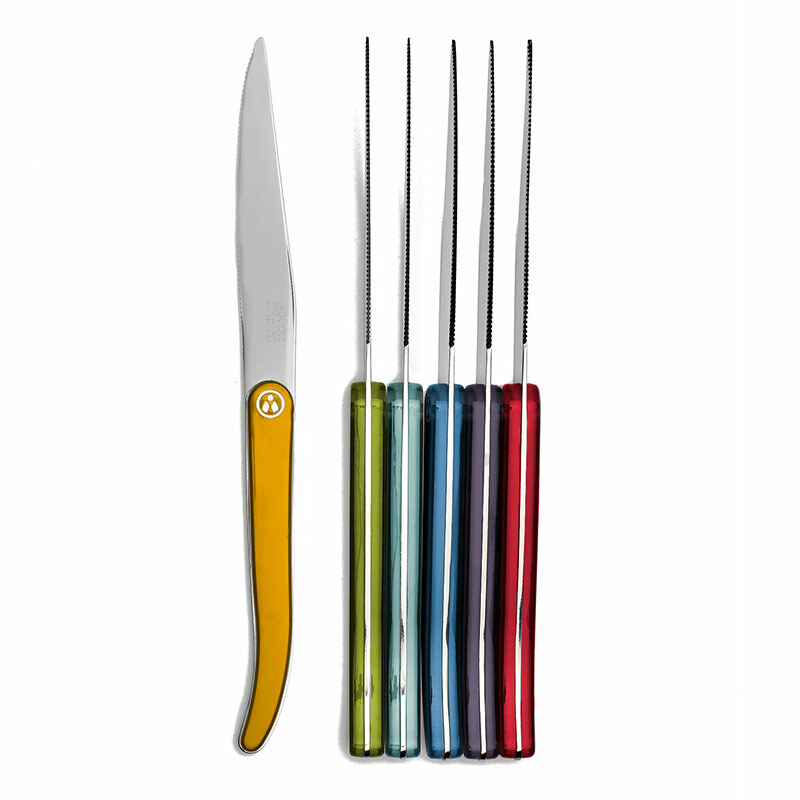 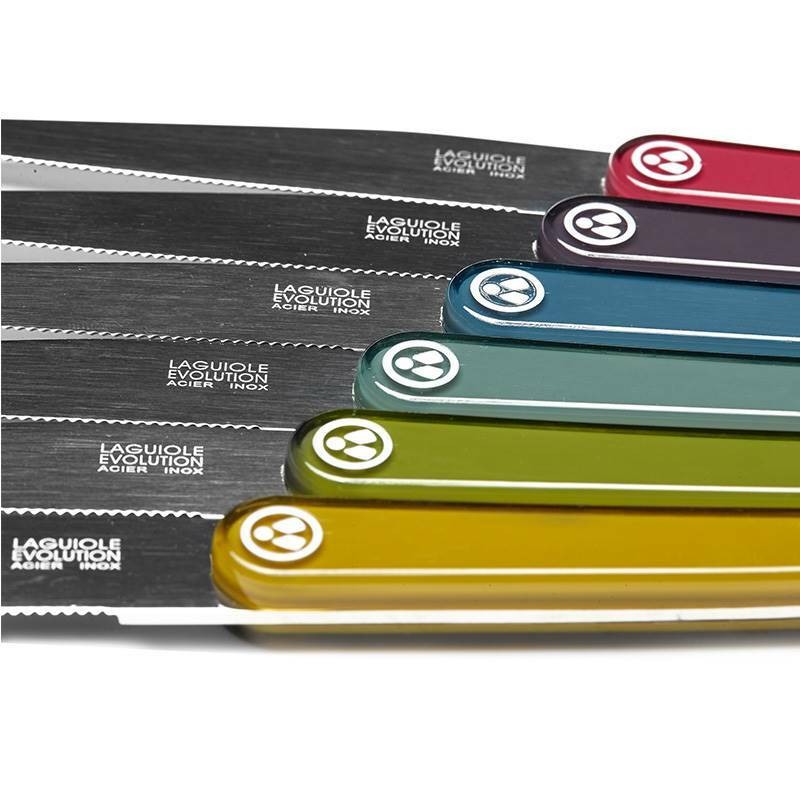 Sublime thanks to their acid colours, these full tang stainless steel table knives blades are particularly robust. 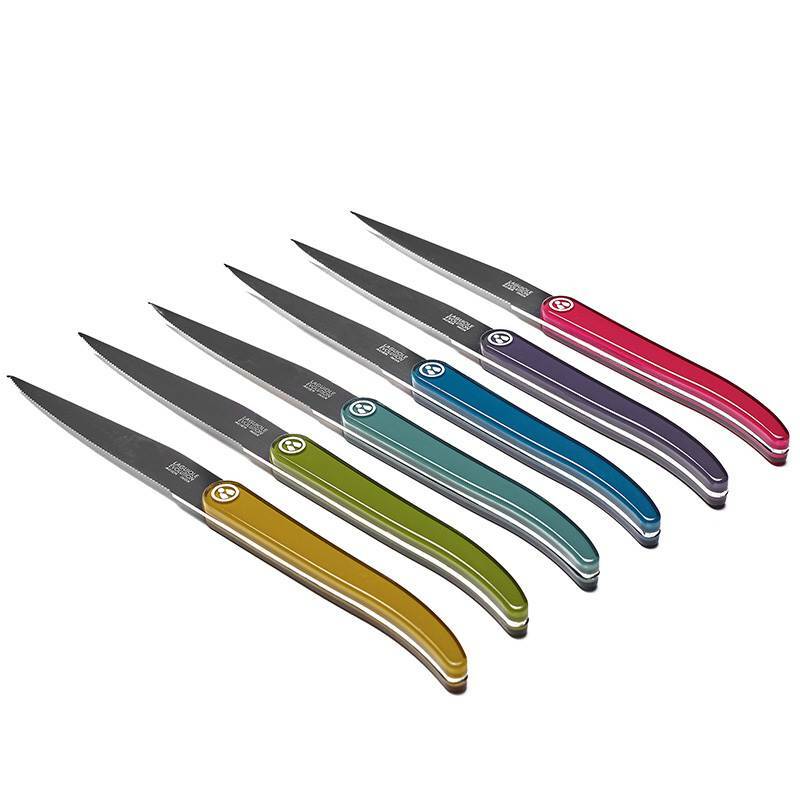 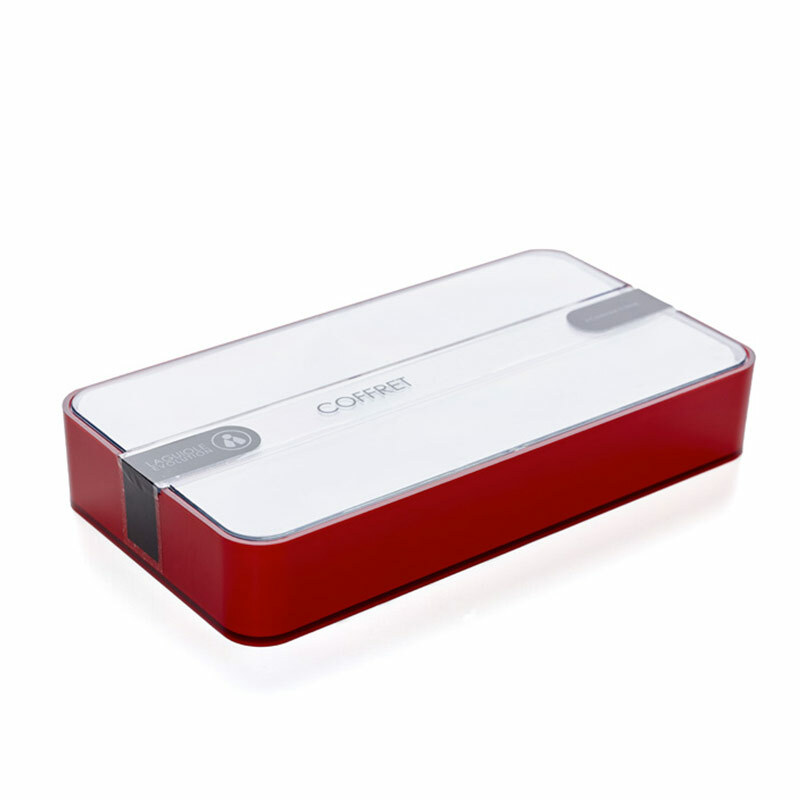 Most of all versatile, they have a micro serrated blade that enables to cut any type of meat with efficiency. 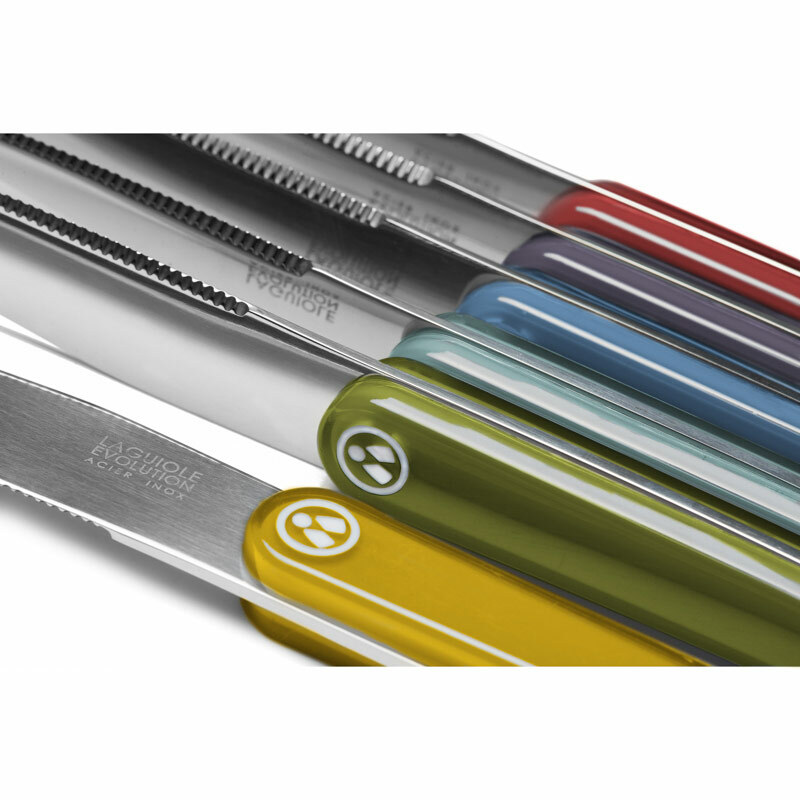 These Laguiole Evolution® meat knifes have been designed by the R&D department of TB cutlery based in Thiers. 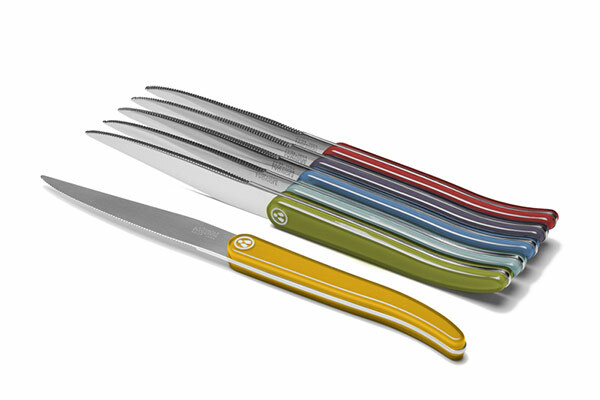 With their timeless design, they reinvent in an original way the lines of the famous Laguiole. 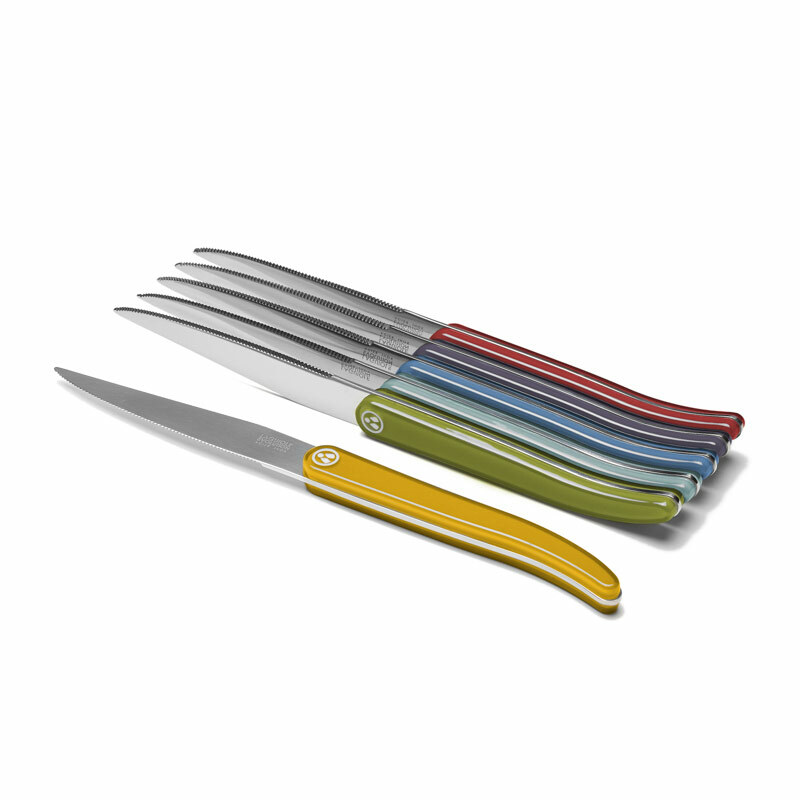 Hallmarked with the famous bee, the handles of these knives have the specific ergonomics of Laguiole, which ensure an easy handling to cut with great precision.